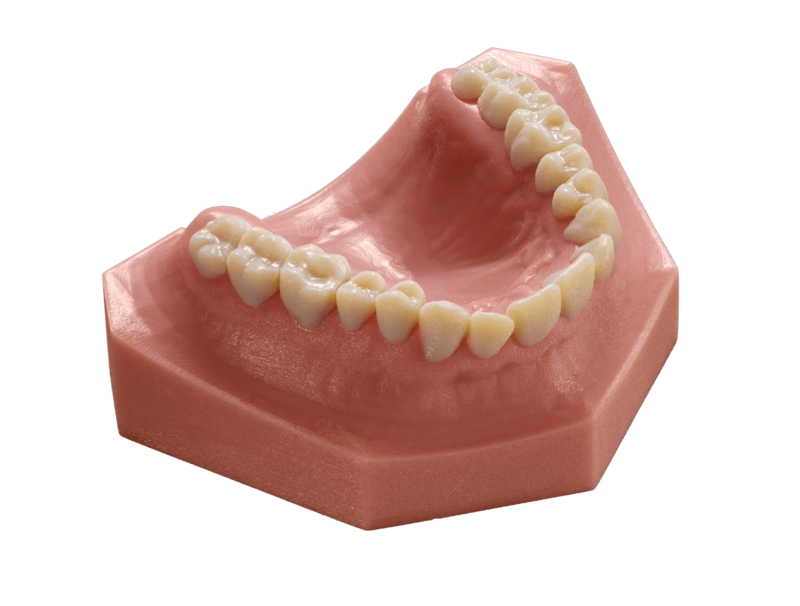 With Stratasys’ Objet Eden 3D printer, SBDC can print patient’s jawbones, dentures and other dental implants faster and more streamlined than using traditional stone models. Previously, production time was prolonged and materials were wasted as operators removed excess molding materials. With 3D printing technology, Dr. Wu’s technicians produce the same denture in half a day as opposed to spending weeks on using traditional fabrication methods. Technicians at SBDC were able to convert digital data of a patient’s oral scan into a printable STL file. With the Objet Eden 3D printer, dental models were produced quickly to test not only for the right fit but also used as a communication tool with patients. Showing patients a tangible model that they could touch with their own hands helped advise them on the procedures and outcomes of the impending surgery, leading to greater confidence and satisfaction from their customers. 3D printing now plays an important role in dental implant surgeries at SBDC. Instead of manually adjusting tools by relying on experience, surgeons can create implants and guides within hours. The 3D printing process is quick and the 3D printed guides are highly precise, improving the overall operation safety while minimizing patient’s discomfort and speeding up recovery. Digital dentistry and 3D printing has allowed Dr. Wu to capitalize on opportunities from other parts of Taiwan and overseas. As the first clinic to adopt digital dentistry, SBDC now serves as an education hub hosting seminars and workshops for dental practitioners, introducing the innovative technology and sharing best practices with other industry players. “3D printing allows us to reproduce real-life conditions and create customized tools, helping us make the optimal decision for every patient and perform surgeries smoothly. Patients are better consulted on the treatment procedures and outcome, resulting in higher confidence and satisfaction,” said Dr. Wu.